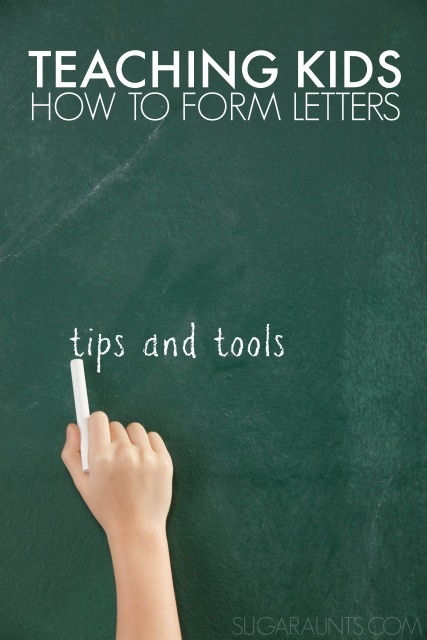 It can be a tricky thing to teach kids how to write their letters. They learn a letter a week in preschool or at home. When a child is just not interested in coloring, writing, and fine motor tasks, teaching letters can be difficult. I am all about creative and playful learning and when it comes to teaching kids to write letters in no different. 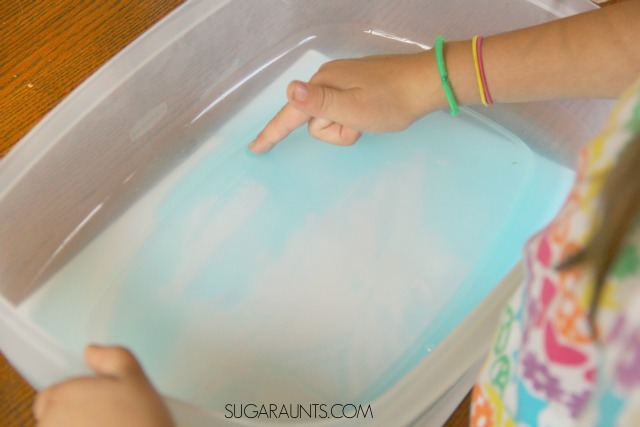 This sensory soap writing activity is a fun way to teach kids how to write letters correctly and in a messy, (yet equally clean) environment. 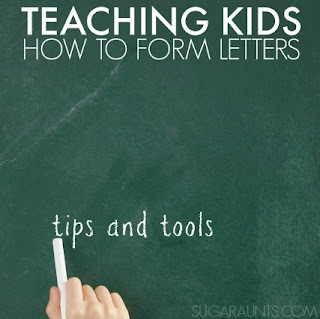 Today I'm sharing a few tips and tools to work on letter formation for little ones who need to learn how to form letters. The key to teaching kids how to write letters is to correct any poor formation practices before they become habits. 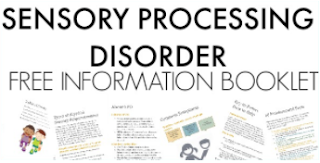 In Preschool and Kindergarten, children typically learn correct letter formation. If they begin forming letters from the bottom to the top, or form parts of a letter and "build" letters, those poor formation habits can stick with the child and lead to illegible handwriting as they grow and are required to write more and at faster speeds in the older grades. A few tips for teaching handwriting and letter formation from my days in school-based Occupational Therapy. (This post is part of my 31 day Occupational Therapy series where I'm sharing activities for development using materials you might already have in the home. Teach kids to always write letters from the top to bottom. 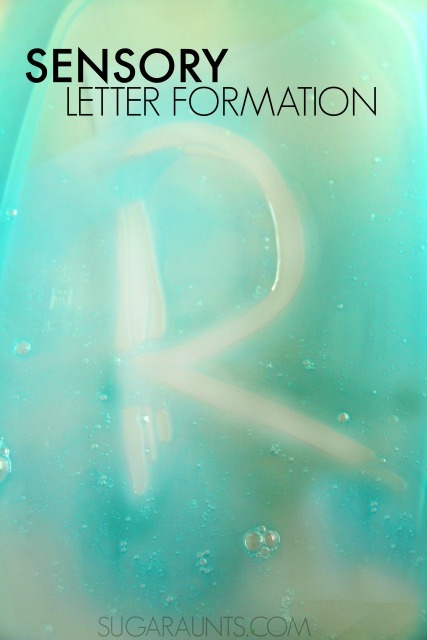 Forming letters from the bottom up is slow and inefficient, and will lead to poor handwriting. Cue your child to start "at the top" as they form letters. Teach capital letters first. Capital letters are easier to learn than lower case letters because they all have the same height, all start at the top, and are easy to recognize. Start by teaching individual letters, then words, then sentences (all in capitals). Progress to lower case letters once the upper case letters have been well established. Use blank printer paper or simple lined paper. Using worksheets with pictures is distracting. Use a multi-sensory approach to teaching letters. Use multiple techniques to practice letters using sensory bins, proprioceptive techniques, gross motor kinesthetic techniques, or high contrast activities. The possibilities are endless for creative learning with handwriting! 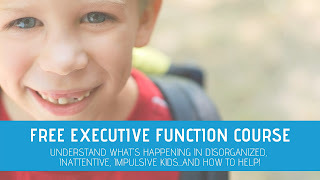 Use consistent verbal cues for letter formation. the Handwriting Without Tears program. Make sure the child has a good posture in their chair. 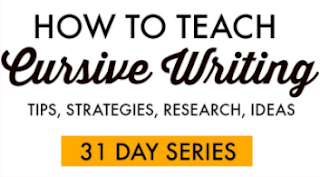 Hopefully, that will give you some ideas for practicing handwriting. Now onto a sensory handwriting activity that we did recently. Use dishsoap that you have in your house. It doesn't matter what brand of soap you are using, as long as it is a liquid dish soap. Pour a small layer into a plastic bin. You want the bin to be big enough for the child to write letters. 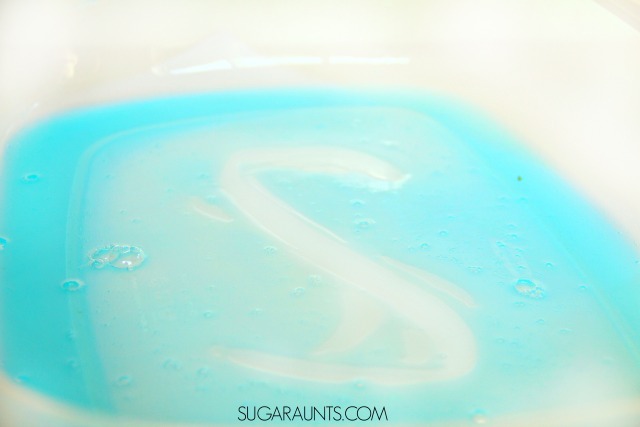 Add a small amount of water to the soap to give it a little less viscosity. You don't want to add too much, or the soap will be too runny. I drizzled just a little over the soap. (How is that for a precise direction?) Just add a little bit, because you can always add more water. RELATED READ: Teach kids how to write on the lines. Love this idea? Pin it! 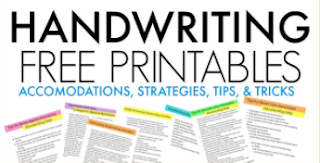 You will love our Handwriting Pinterest Board for more ideas.